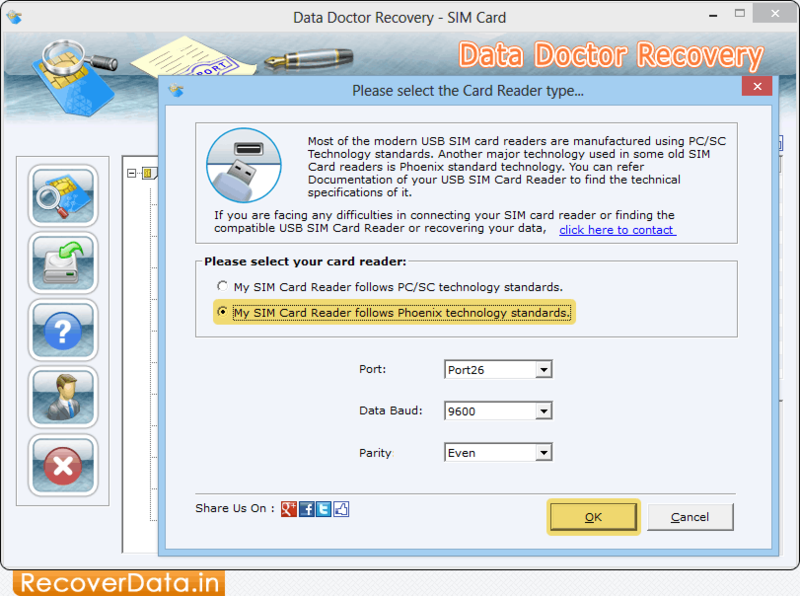 First of all you have to select your card reader either "My SIM Card Reader follows PC/SC technology standards" or "My SIM Card Reader follows Phoenix technology standards". Now click on 'OK' button. 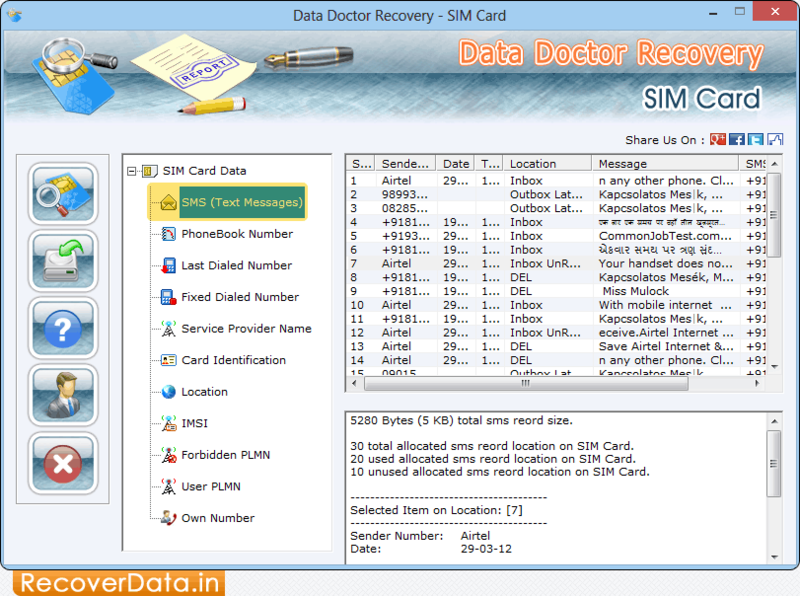 Select SMS (Text Messages) from left panel to recover text messages with location, date, contact numbers on SIM card. 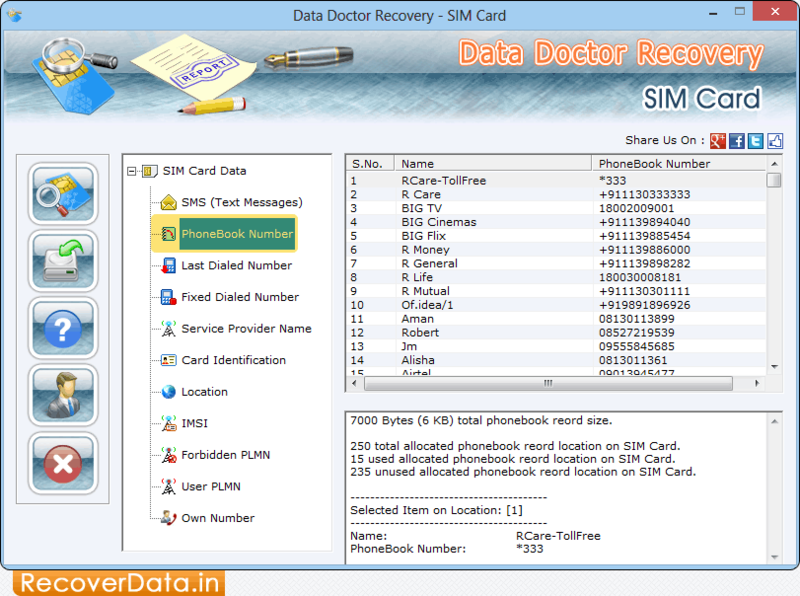 Select PhoneBook Number from left panel to view and recover contact details including phonebook number with name.